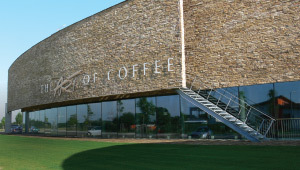 Create your own stonework with Mathios Grout, the ideal choice for Natural & Architectural Stone. Produced by high quality cement, new generation aggregates and reinforcing additives, armòs provides high mechanical strength and excellent workability. It is fully waterproof and easy to clean. It offers possibility of filling joints from 10mm to 50mm and is suitable for application to both internal and external surfaces. It is available in 12 colour shades, indelible in time and in 2 granulometric sizes. Combine them with the grout style you wish and see how you can recast your stone. 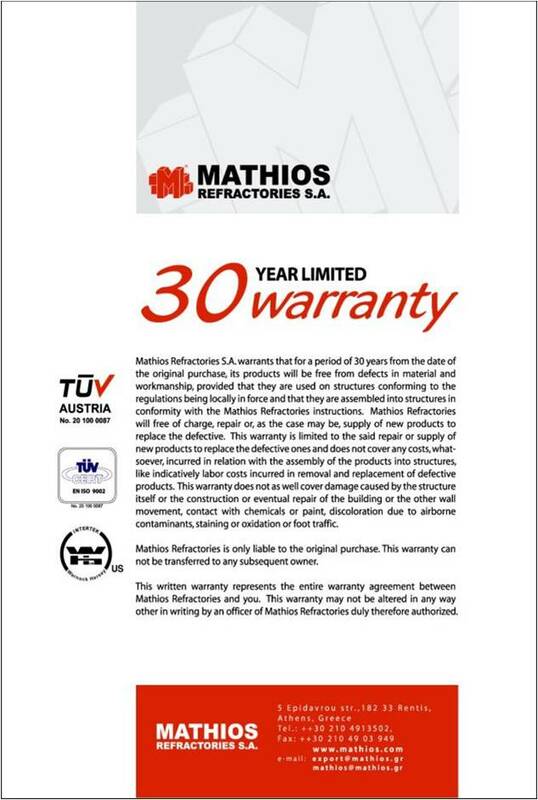 Mathios Grout is available in two sizes of granulometry. Picking your grout technique according to what you’re trying to achieve is as important as selecting the stone. The most common technique is to lay each stone one finger width apart from each other and grout between each stone. The grout is deeper than the face of the stone and exposes the stone edges. If the grout colour pairs with the hues of the stone, this makes mostly the stone stand out. 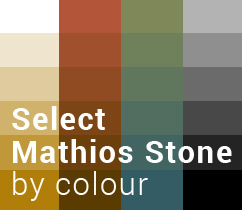 For contrasting design result pick up a bold colour opposite of the stone colour. The mortar overfills the joints and overlaps the face of the stone. A very popular technique to achieve a rustic and authentic old-world look. It gives such a realistic result to the construction that it’s hard to believe it’s not centuries ago built. 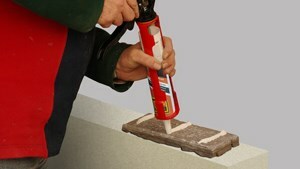 Ideal for irregular shaped stones and brickslips. It would also fit nice in an industrial design loft. The grout level is almost flat with the face of the stone. Similar to the standard grouting style but with more active role on the final design. Try to use different colour grout and see how your stonework transforms. For a discreet and always in style look match the grout color with the dominant color shadings of the architectural stone. On the contrary, if you love impactful effect, select grout color opposite of the stone color. With light stone, use dark grout, and with dark stone use light grout. Order now and see how simply you can recast your stone. and see how simply you can recast your stone.